ALL OF YOUR DATA, LESSON PLANS, AND GROUPS. Create a profile for each of your students to track, organize, and analyze their anecdotal notes and data. Create fluid student groups for differentiated instruction and organization. 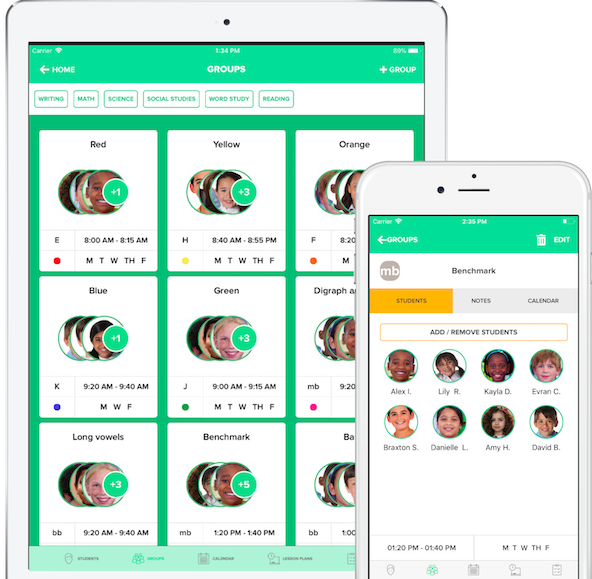 Schedule group meetings and organize lesson plans for all of your student groups. Choose from a generic or a guided reading lesson plan template to create and implement lessons for your student groups and classes. 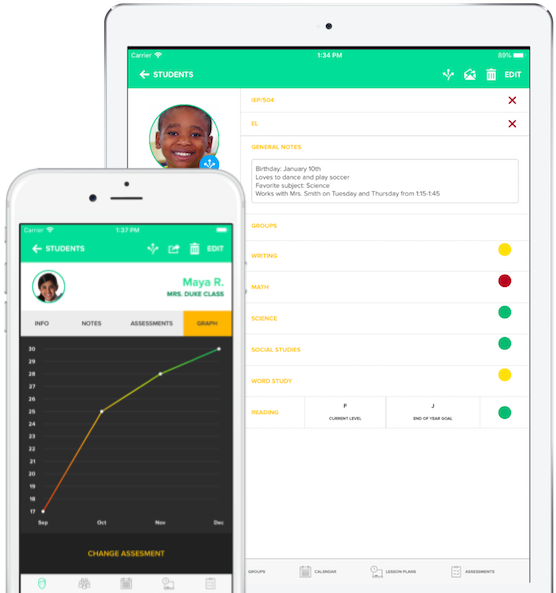 Track and analyze whole class and individual student assessment data. GRō makes my life easier, gives me more time with my family, and helped me become a better teacher. You can tell this app was made by a teacher and with teachers in mind. The must have app for guided reading…This app makes my teacher heart SO happy, and I know it will make your life so much easier! 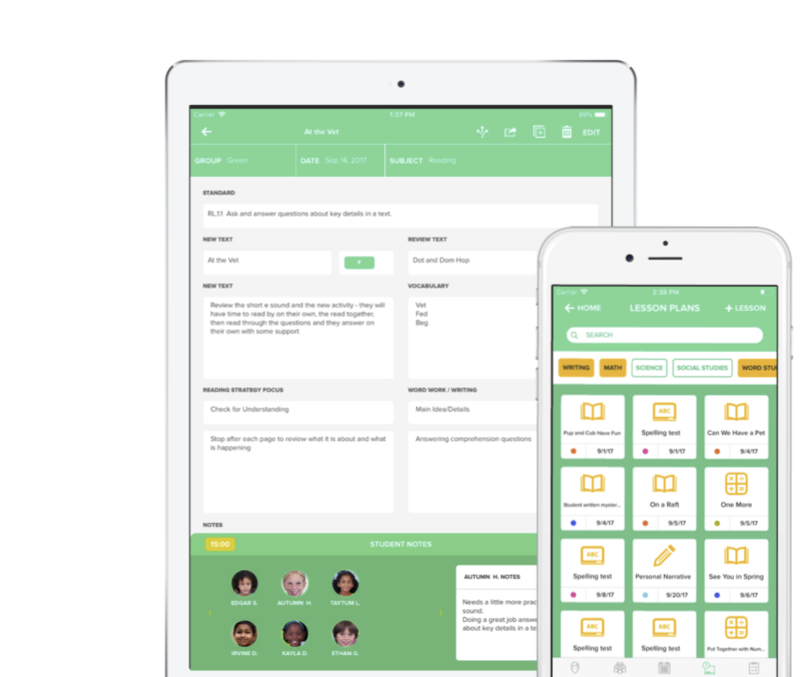 It’ll save you time, help you take better notes, and enable you to easily share information about your students. iPad, iPhone and App Store are registered trademarks of Apple Inc., registered in the US and other countries.